The completion in 1891 of the new museum at the top of Wenceslas Square was the crowning achievement of the Czech National Revival, a statement of nationhood that anticipated by thirty years the founding of the Czechoslovak state (an event which took place in its immediate vicinity in October 1918). But architecturally speaking, the museum was already dated. Its neo-classical design was somehow part of an older world. A new state demanded a new style, a new look, for both private and public building. And there was a whole generation of young architects on hand ready to oblige. 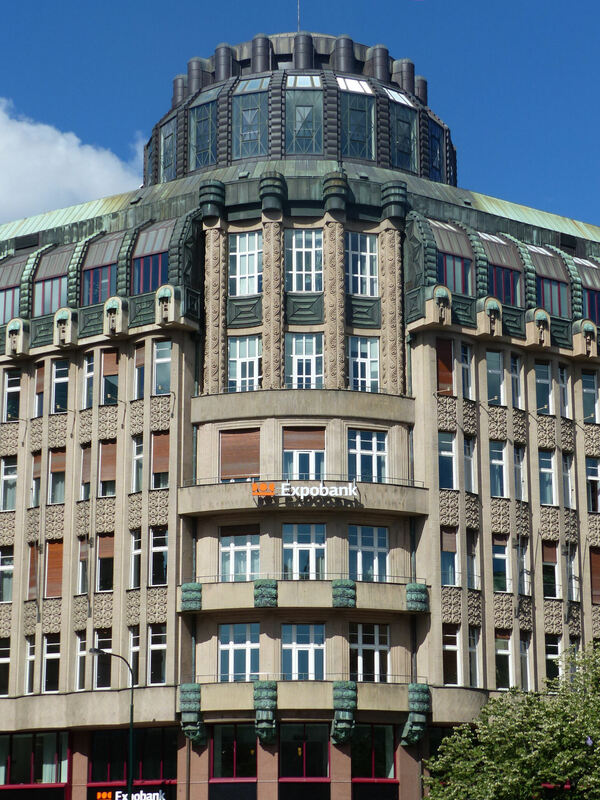 The so-called ‘Šupich house’ was developed between 1911 and 1919 at a prominent intersection on Wenceslas Square next to the art nouveau Palac Lucerna, conceived just four years earlier. 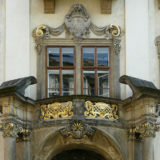 Linked by a gilded and mirrored passageway, the two buildings could not be more opposed. With its Tiffany glass and art nouveau lamps, Lucerna, the work of Václav Havel’s entrepreneurial grandfather, feels positively Edwardian in comparison to the deco-like primitivism of its neighbour. 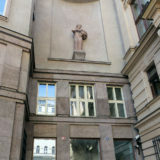 Actually a suite of three connected buildings, this palatial project was undertaken for the lawyer and investor Josef Šupich by the firm of Matěj Blecha, with Emil Králíček as principal architect. The outside is astonishing. 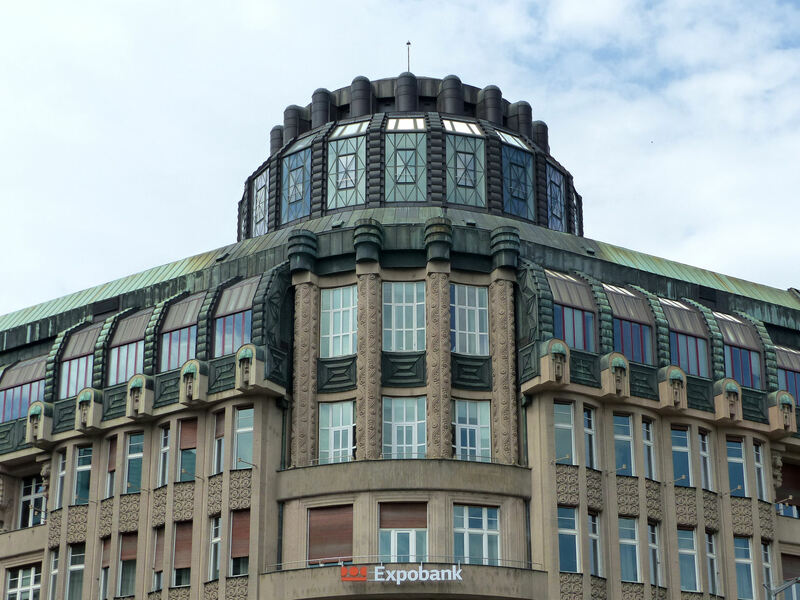 The building’s distinctive drum-shaped lantern and piston-like projections give the impression of a huge engine, powering the commercial activity of the newly-formed state of Czechoslovakia. 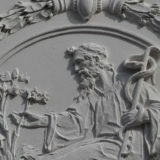 Much of the effect is the result of Králíček’s regular collaborators, the sculptors Karel Pavlík and Antonín Odehnal, who were responsible for the striking facade with its powerful geometric lines, its primitive roundels and its Homeric heads. 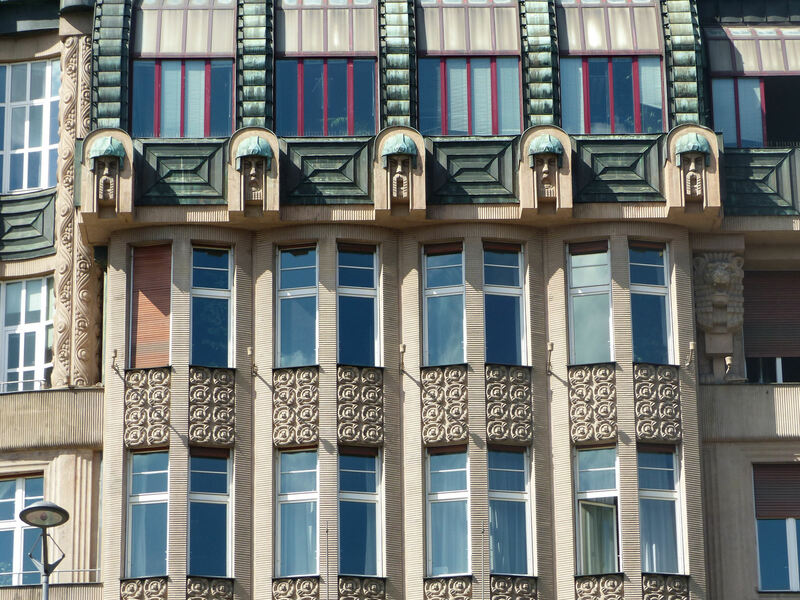 Otakar Novotný, who went on to design the Mánes building, proclaimed the Šupich building an ‘architectural monster’. And to be sure there was another movement afoot, one actually closer to the Viennese school and the principles of Jan Kotěra: within a decade, these sculpted faces of staring, ancient prophets would give way to the clean straight white lines of functionalism.